The integrated technology helps stop software viruses, worms, Trojan horse programs, spyware, and other malicious or unwanted software. OneCare activates the Phishing Filter in Internet Explorer 7, which helps detect and block sites known for online identity scams. OneCare shows you the status of your networked computers in one place. With one, easy click you can take specific actions on all of the computers OneCare covers on your home network. 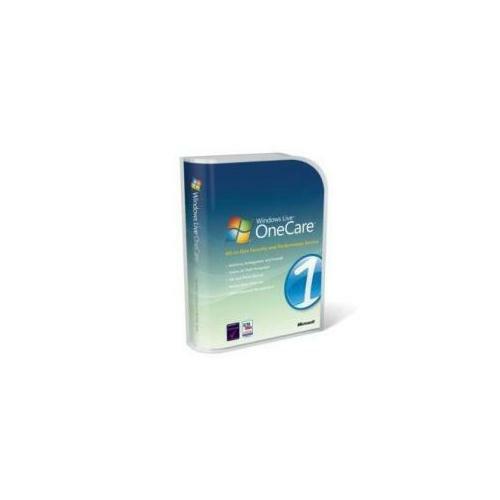 OneCare cuts computer boot time by highlighting and removing rarely used applications from the computer startup process. Helps protect your files by regularly backing them up to a CD, DVD, external hard drive, network drive, or other USB-enabled data-storage device.